Chevrons were made in the branch color. Service chevrons were bordered in red if the soldier had wartime service, except for artillery where light blue was used. 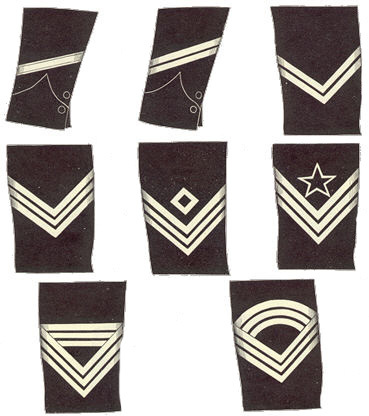 The first three of the grade chevrons were made of worsted binding and the last three of silk binding.